Science fiction. Some people hate it, some love it, and many are impartial to the genre, but the overall aesthetic has been drilled into us by hollywood movie layered on hollywood movie – sleek white walls and furniture, futuristic blue lights, and a dominating fluidity to every room. Sound familiar? The sleekness of futuristic design is very much based on the rejection of sharp corners and the introduction of more organic forms, a tangent to traditional architecture which modern designers are leaning more and more towards. In one of our previous posts, my mother described our experiences at the HK design fair, in particular noting that the display by Zaha Hadid was one of the more inspiring. She is widely admired for her anti-90° design philosophy and the stunning effect it has in her architecture and more miscellaneous design. From tables to shoes to gigantic concert halls, Hadid consistently produces masterpieces which challenge our ingrained perception of the line between natural and artificial. She is one of the leading architects in what is known as ‘organic architecture‘. Organic architecture is defined as “a philosophy of architecture which promotes harmony between human habitation and the natural world.” It does so by building specifically to the nature of the site, in an attempt to achieve a sense of harmony between the buildings, furnishings, and surroundings. However, the idea is not to replicate nature or to now build a structure which looks precisely like a flower. Ideally, organic architecture functions as a reinvention of nature, after the inspiration have been passed through the minds of intelligent men and women to result in design which is more natural than nature itself. Thus, organic architecture is not a ’style’, which is defined by a series of repeating elements, but rather an attempt to transcend the constraints of day-to-day design on a case by case basis. Now, this isn’t entirely a modern idea. Humans have long desired to combine nature with their own creations, which arguably led to the octagonal churches we see in many medieval towns. To the Christians who built those churches, the octagon was the perfect middle-ground between the heavenly circle and the artificial square. Today, we are not limited to using rock and brick in construction, and are free to be inspired as much by this long-standing tradition, as by the elegant forms of nature herself. 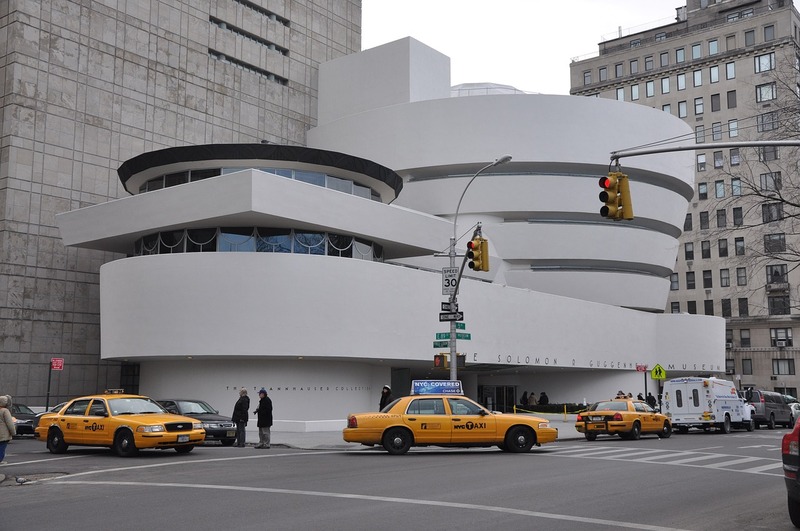 FLW’s Guggenheim Museum, New York. One of the great pioneers of organic design was Frank Lloyd Wright, who coined the term as early as 1908. He was the first to decree that perhaps, function and form did not have to be prioritised over each other, but rather that they should be the same thing. His buildings, with their glass facades and steel structures introduced a new spatial appreciation, and with that, an appreciation for how a building should look in the context of its surroundings. Almost a hundred years after his time, Zaha Hadid (I’ve mentioned her before… let’s just say that I really like her designs and was very much influenced by the exhibition she had in the Design Fair) has taken up Frank Lloyd Wright’s prestigious mantle at the forefront of organic design. She pushes at both minds, structures, and the boundaries of architecture with a simple question: “there are 360°, why stick to one?” Wielding this query, she smooths the boundaries between environment and nature, between function and form, and even between different social classes (see the BMW Central Building. The conveyer belt carrying the chassis of unpainted cars is supported by stilts, and runs straight through the white-collar office area of the building. This innovative office design blends the normally all-too-noticeable boundaries between blue- and white-collar employees). However, seeing as we are discussing the architectural and human relationship to nature, it would be a crime to leave out Antoni Gaudi. His brightly coloured, and often meticulously detailed designs (even if the details themselves occasionally turned out somewhat ugly) reflect his overwhelming joy in life, and his Christian desire to show his respect for God’s creation in the most profound way possible. 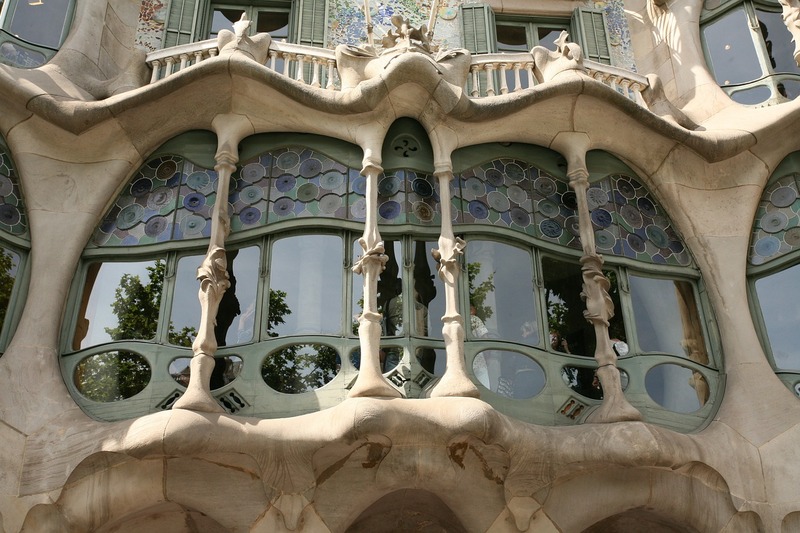 However, Gaudi’s designs proved to be surprisingly functional – by modelling his columns off human ribcages or having whole structures supported by tree-like beams, he borrowed nature’s time-tested edifices and made his buildings stronger as a result. In 1940, Charles Eames and Eero Saarinen made history with their Organic Armchair. It was conceived with the purpose of winning a nationwide design competition of the theme “Organic Design in Home Furnishings”, in which organic design was defined as “A design can be called organic if, within the object as a whole, there is a harmonious relationship between the individual elements as regards structure, material, and purpose.” Within the six furniture categories, Charles Eames and Eero Saarinen won gold twice. The Organic Armchair was responsible for one of those awards. 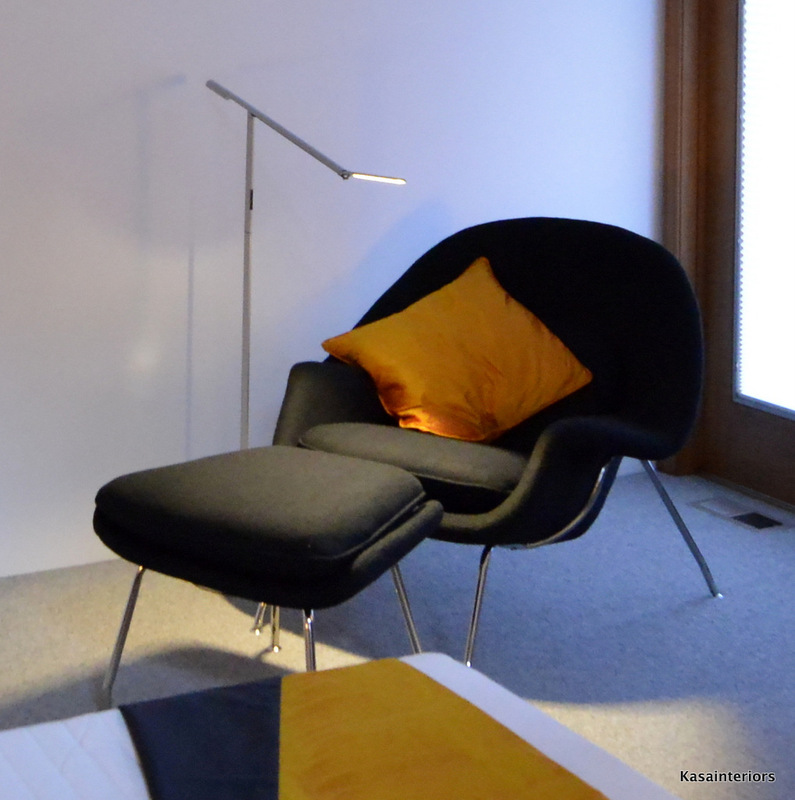 Another fluid design: Eero Saarinen’s Womb Chair (plus ottoman). It was the first of its kind – a chair which flowed throughout its individual elements; the back was not separate from the armrests, but rather angled into them. The legs were simple and practical, reflecting the entire aesthetic of the chair: due to the war, at the time, there were few materials available (which did actually lead to cuts on the design, and explains why it did not immediately go into mass production, which was sort of the point of the entire competition) thus the chair was designed to be comfortable, elegant, and using as few materials as possible. 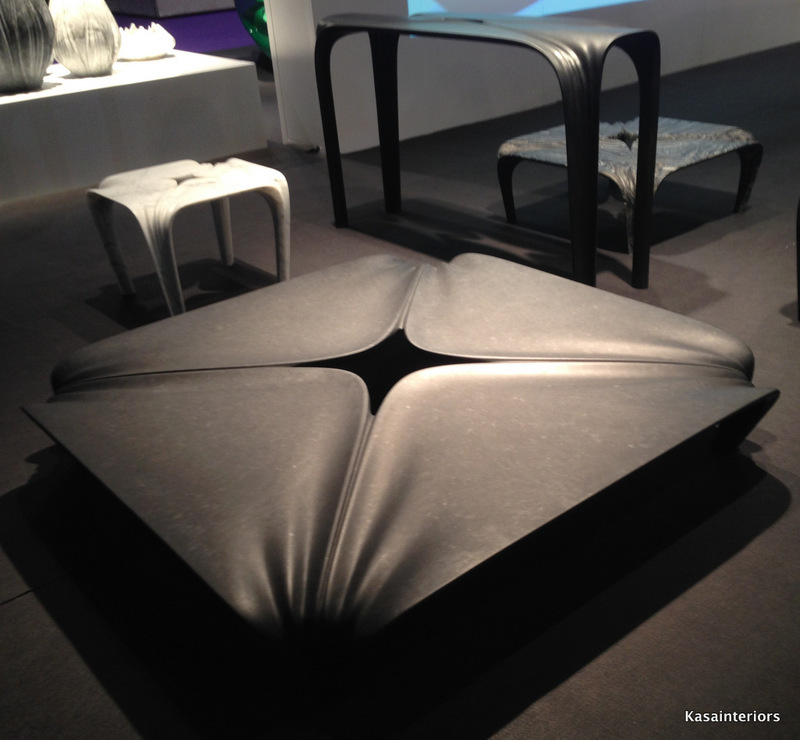 Since, many designers (including Zaha Hadid) have taken inspiration from the Armchair, and blown the concept of flow far beyond the presupposed ‘boundaries’ of architecture. This is precisely what organic design proves. Architecture has no such traditional boundaries, and an artificial element will happily blend both within itself and with the external environment. You merely have to let it. The only limits you could set on design, especially now with 3D printing readily available, are physics, and the designer’s own imagination. To finish off, I just want to make a quick note on regular, tessellating patterns in nature. From the mathematical beauty of a nautilus’ shell to the rigid megastructure which is a honeycomb, nature is full of such patterns. Though the most common shapes in the universe are probably the sphere and the circle, which don’t really remind one of the ’boxy’ nature of traditional architecture, many chemicals nonetheless crystallise with straight edges strikingly reminiscent of man-made structures. Just look at the remarkable basalt stones of Giant’s Causeway. The line between architecture and nature is not as distinct as we might believe – Wright showed us that, and we have been transforming buildings from mere living spaces to areas which enhance and beautify our lives. ← Indonesian Ikat – Inspiration for My Interior; What’s Yours?